Flores is an island which is located on the East Nusa Tenggara and it is part of Lesser Sunda islands. The Lesser Sunda Islands are a group of eastern part of Indonesia. The name Flores is coming from the Portuguese word "Flower". Local common call this island as Pulau Bunga or Flower Island. Flores has divided into 2 main part, they are West Flores and East Flores. West Manggarai with the capital city Labuan Bajo. Central Manggarai with the capital city Ruteng. East Manggarai with the capital city Borong. There are 6 main cities of Flores island, they are Ruteng, Labuan Bajo, Maumere, Bajawa, Ende, and Larantuka. Regarding the census in 2010, Flores has the population 1.831.472. And the largest population is in Maumere with 300.301 populations. Generally, Flores island has many dialects spoken in each district. West Flores, from West Mangarai to East Manggarai the dialect Manggarai. In East Flores, there are almost 6 differences in the language spoken. They are Ngadha, Lio, Ende, Nage, and Palu'e. Every part of Flores island has a different culture each other. Manggarai is popular with the Tarian Caci (sticks fighting). Tari Ende Lio or Ende Lio Dance is most present by people in East Flores, especially Ende. There is 4 part of Ende Lio Dance, Toja, Wanga, Wedho and Gawi. There are still many dances of each district are not published, but they are present when they have culture ceremony in each district. Flores island is well known as one of the most popular tourist destinations in Indonesia. There is a lot of tourist destination have to visit, from West Flores to the East of Flores. The most tourist destination is located on the West Flores. Labuan Bajo is one of Indonesia tourism developed. 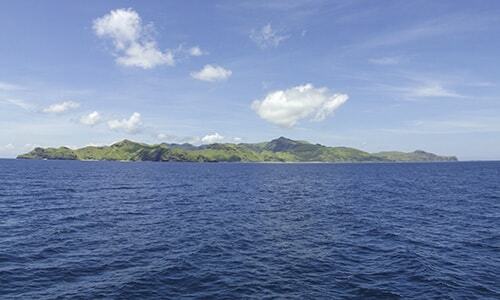 West Flores is well-known as the place where you can see the Komodo Dragons. While in East Flores offer Kelimutu volcano with the three colored lakes. You can easily book Flores tour package and Komodo tour package online with the special offer, trusted and professional tour operator in Labuan Bajo. On the North side of East Flores, there is Riung with the beautiful white sandy beaches. And also 17 island which offers you the amazing of islands shape.